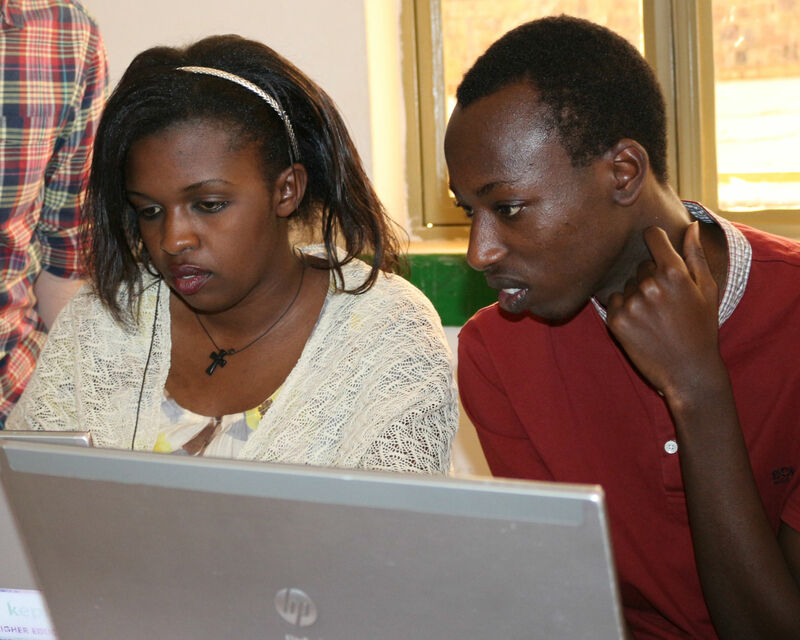 I’m currently training a class of 19 future web developers in Kigali Rwanda. They’re working hard to become job-ready by the end of the bootcamp and apprenticeship. But they don’t have it easy. Most of the computers they’re using are three to five years old, and most are barely powerful enough to run Linux. Occasionally we’ll have hard drive failures, or a complete operating system failure, where students have to spend the whole day reinstalling everything. But with all these difficulties, my students aren’t giving up. They are persistent, but above all have patience. If they run into obstacles, they don’t panic. They make adjustments and try their best to still accomplish their goals. I have one student whose computer didn’t work for 17 days, and she was still able to keep up with the class through pair-programming, and countless hours of makeup exercises once her computer was back up and running. Now she’s caught up and doing great in the class. Furthermore her ability to catch up wouldn’t have been possible without the support of her peers. The stronger students naturally help out ones struggling, and struggling students don’t hesitate to ask stronger ones for help. There’s a deep sense that they’re all learning together, and can only succeed as a team. In the States, I often have to encourage students to work together. But here I rarely do; it comes natural to them. Teaching in Rwanda has made me see the cultural differences of education in the States. We’re individualistic and consumed over efficiency. Every minute not used productively is a minute wasted, and you are accountable for your own success. But here, with their patience, persistence, and teamwork they are accomplishing their goals, always together.